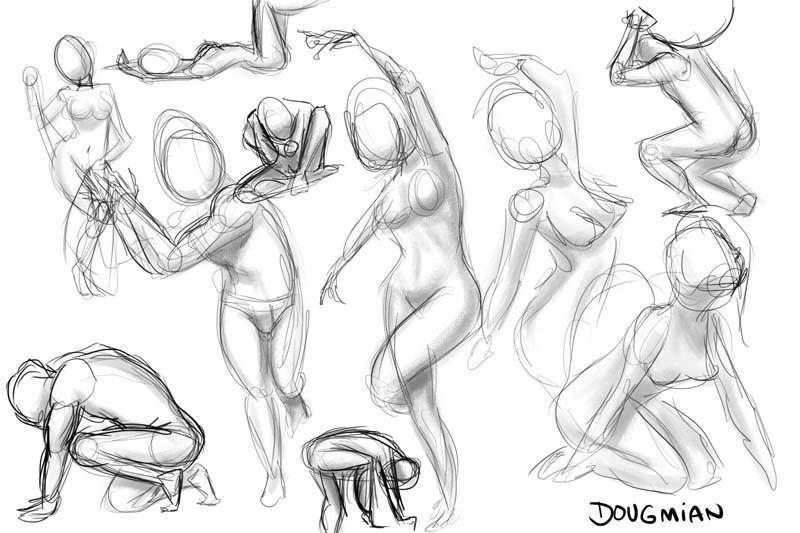 I would love to take real gesture classes, I don't have time and I don't have any idea where I could go to take it, but there are sites that some artists have shared that are helping me a lot! I have to do it more! Some friends of mine are studying medicine, they see body or parts of body to study anatomy, however gesture classes are different because the body is not dead, it's the entire body that you study, they make expressive poses, then you have to draw it very fast to catch the movements and memorize how the muscles works!